Possible new regulations will be presented across the state; the only SoCal meeting is in Rancho Cucamonga. STATEWIDE—Public meetings to discuss possible changes to California’s trout season and fishing regulations are already underway, with the first of six meetings held across the state already held. 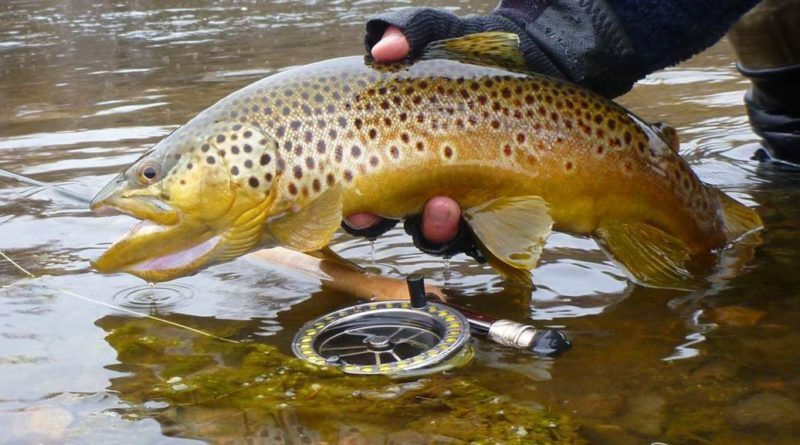 California’s Department of Fish and Wildlife, or DFW, announced it early March it would host a half-dozen public meetings, in various cities, to update anglers on proposed changes to trout fishing regulations and seek the public’s input on potential statewide regulation changes. DFW staff stated the meetings would focus on these key areas: objectives of the proposed regulations; species management goals; consolidation of process; parameters of standardized regulations; and, a review of proposed regulation changes. The first meeting was already held on March 20 in Bishop. The only public meeting in Southern California will be held on April 6, from noon to 2 p.m., at the Bass Pro Shops in Rancho Cucamonga (7777 Victoria Gardens Lane). April 23, 2019, Truckee-Tahoe Airport Community Room, 10356 Truckee Airport Road, Truckee (6-8 p.m.). All meetings are in-person only. Conference calls or webcast options are not available for any of the meetings. Visit www.wildlife.ca.gov/fishing/inland/trout-plan for more information. ← Yellowtail bite at Los Coronado Islands marks the beginning of springtime style fishing!